Join hundreds of PMI students for an unforgettable experience. Lesson plans are created around your goals and skill level. CLICK HERE TO SET UP YOUR LESSONS! Playing an instrument just makes life better. If your child is showing an interest in music, take action now. Waiting for the perfect time or age to start? If your child is 6+ then start today! 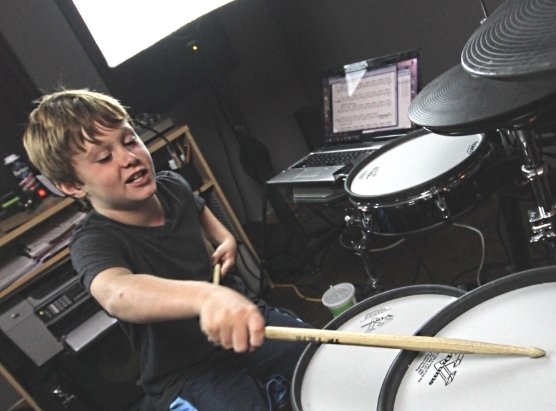 Your child’s Lesson experience is our foundation for their classes at Pro Music Instruction. We’re parents too, and understand the importance of finding the ideal lesson and instructor. Fun and educational lessons keep kids engaged and wanting more. That’s what you’re signing up for! 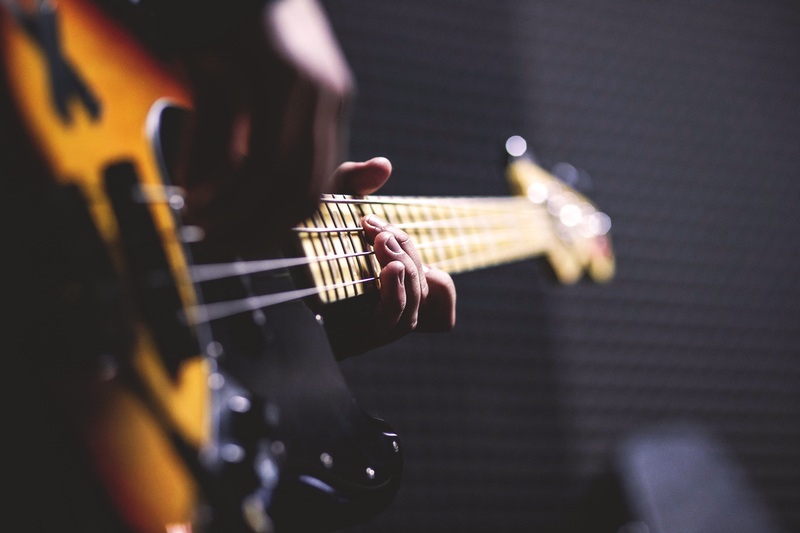 Whatever music moves you, be it rock, metal, the blues, pop or country you can be assured that Pro Music Instruction teaches both the electric and acoustic guitar in all styles to everyone, to the new rocker, advanced player, or somewhere in between. So let us help you become the guitar star you want to be as we expertly guide you through everything from learning your favorite songs to advanced theory. 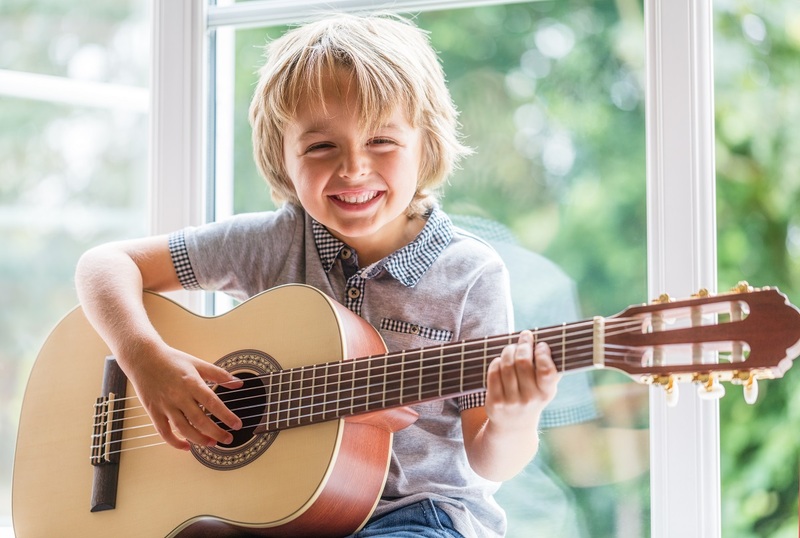 Our fun but challenging lessons are taught via personalized goal based Guitar Lesson curriculum, lessons are then given in-depth reinforcement through our comprehensive weekly progress checks with our students and parents. Pro Music Instruction students LOVE to practice and always show up to their lessons with a smile on their face, eager to enjoy learning and most importantly playing music! 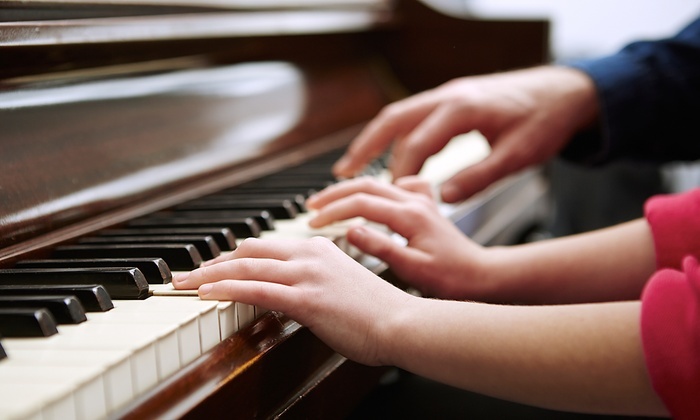 Our piano instructors teach a variety of styles ranging from classical to popular music. 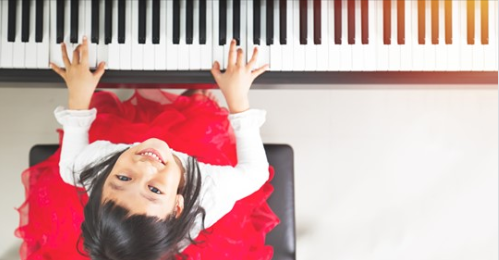 Whether you are new to piano or have been playing for years our instructors are dedicated to helping you with your goals to become an accomplished pianist. 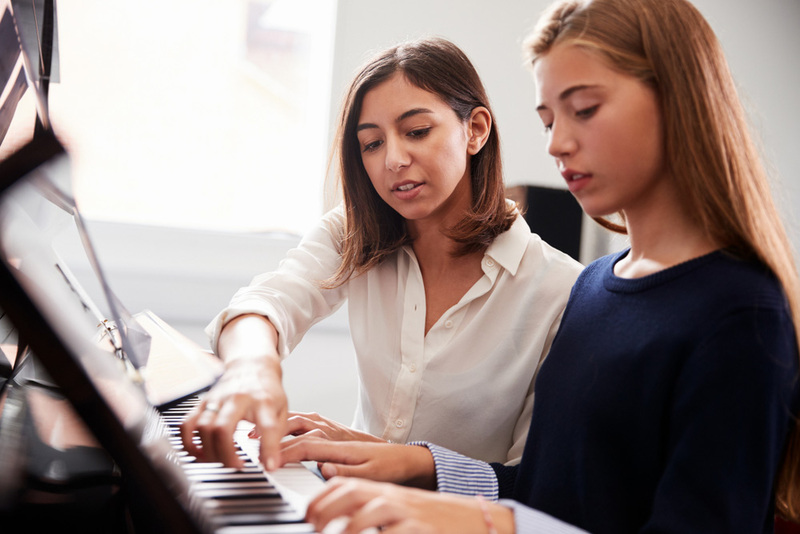 Our piano instructors will expertly guide students through everything from the fundamentals of sight-reading to advanced technique and theory. Your favorite songs are also included in your piano lessons. Why? Because happy students are motivated students, which always equals success! Pro Music Instructions drum students –as with all our students– love music. Be it rock, metal, jazz, funk, blues, or any number of different styles, they are dedicated to learning the rhythmic language of drumming. Our drum instructors can challenge any drum student with a wide variety of fun technical exercises. Exercises are goal orientated and are designed to improve any student’s drumming techniques and musical skills. 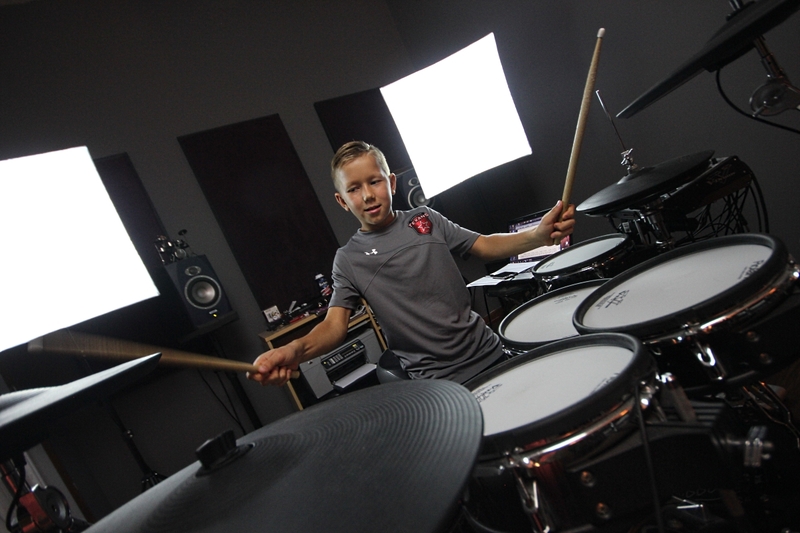 Our Modern drum facilities have all the tools and recording devices to learn and capture our students progress, whether that be additional supplemental video lessons or full blown drum cover videos. 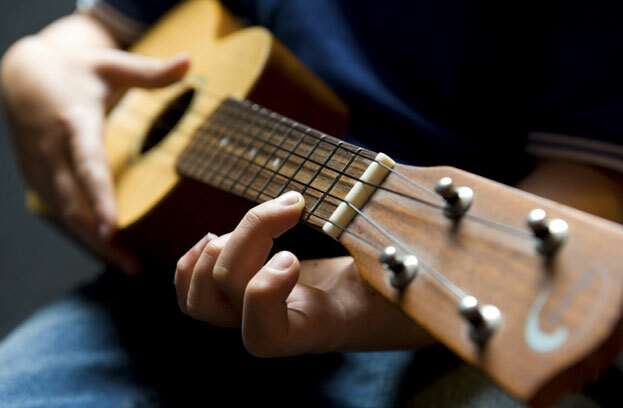 Our ukulele instructors teach a variety of styles ranging from traditional ukulele songs to modern music. Whether you are new to ukulele or have been playing for years our instructors are dedicated to helping you with your goals to become an accomplished player and musician. Our ukulele instructors will expertly guide students through everything from the fundamentals of sight-reading to chord progressions and song structures. Our lesson programs include learning today’s popular songs to create a full rounded learning experience that is not only educational but fun! 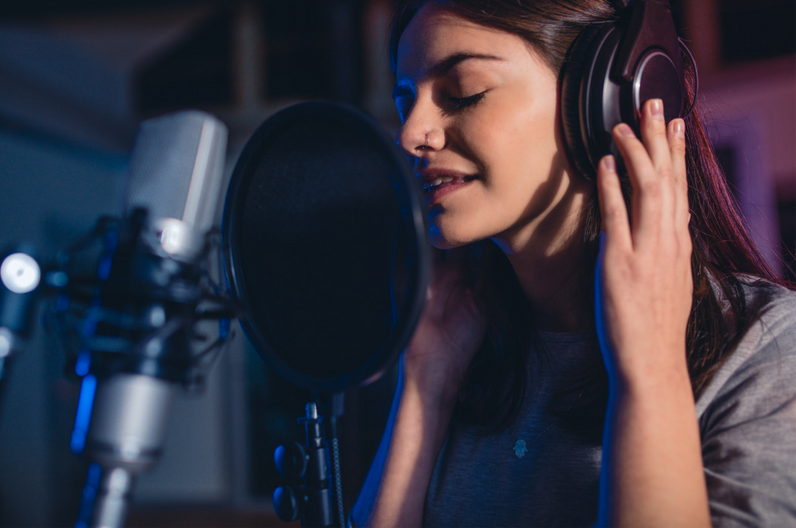 For those who have always wanted to be a rock, pop, country, jazz, gospel or R&B singer, then we certainly have the pitch-perfect voice instructor just for you! Every week our vocal students enjoy the challenge of physical exercises that are specifically designed to improve expressive range, ear training, breathing control, vibrato, tone development, enunciation and, much more. Our instructors set personal goals for their vocal lessons. Along with your instructor, you can work on sounding like your favorite artists. We also provide multiple opportunities for students to perform in public through performance events, and record and develop their own music. Whatever may be your goals, we’ll help you find your voice in a fun, challenging way! Check out what our AWESOME students are saying! I’ve been taking lessons with Matt Smith for over 2 years now, I couldn’t be happier! His knowledge, techniques and great attitude keeps me excited to learn and improve. The location is comfortable and a good musical environment for all ages. The facilities are clean and well thought and the practice spaces are comfortable. Matt and his team are a group of incredibly talented individuals who love sharing their knowledge with the next generation of musicians. You honestly couldn't pick a better place. I’ve been taking drum lessons with Matt for roughly a year and a half and I’ve loved it! I’m motivated to practice each week which has allowed me to get better and better. The studio looks awesome with the fresh new makeover! My son has been taking drum lessons at Pro Music Inst. from Matt Smith for about 6 months and I can't say enough great things about this place! My son's drumming has dramatically improved and he loves coming to his lessons because it's such a wonderfully positive and motivating environment. After my son mastered a difficult song, Matt even produced a music video of my son playing the song. From what I hear, all of the instructors at Pro Music Instruction are high-quality and professional. Parents will also love that all music instructions rooms have windows and all lessons are videotaped for safety and transparency. Matt is a fantastic drum teacher! He is patient, kind, and always upbeat. I've always wanted to learn to play the drums and honestly, didn't think I could. Matt has always been extremely encouraging and does not hesitate to play the same beat several times till I can follow along. I really look forward to my drum lessons every week. My son and I have always shared a love for music. My son plays the guitar and mom plays the drums. Thank you so much Matt! My six year old and I have been taking guitar lessons from Rusty Cooley, the guitarist for Day of Reckoning. He's knowledgeable, patient and teaches the genre of music you want to learn. Bottom line is he's a great guitar instructor. As for Pro Music Instruction, the school is clean, all the instructors are polite and there's a nice lobby for parents to wait in and listen/watch the lesson. Can't say enough about this place. Been taking drum lessons from Matt Smith for over a year. At 34 years old after wanting to learn how to play drums for the better part of my life I decided to jump right in with weekly 30 minute lessons. I searched around the area and decided to give Matt a try. The facility is clean and comfortable with plenty of space to learn. Matt is an excellent instructor and one of the most personable guys I know. His technical musical ability is very high-level and so is his ability to teach. I can't suggest this studio and Matt enough. My progression and understanding have come on quick and I couldn't be more please. Matt is the best drum teacher in the world! Probably even the universe. He has always worked with my busy work/grad school schedule and has always been so patient with me even when he knew I did not practice as hard as I was expected to. I have had the opportunity to work with several band teachers and music instructors over the years, but Matt always stands out to me. He knows his stuff, is an amazing musician, and made me fall in love with drums enough where they are more than just a hobby for me now. Definitely check out the guys at Pro Music Instruction! They are all awesome! Great instructors who work well with people of all ages. Their drumming instructor, Matt Smith, has a great attitude and has a long history of playing with equally talented musicians in the area. He's involved with the learning process and makes sure that students enjoy what they're doing! Give them a call and jam! Matt has been teaching my son drums for several years now and all I can say is WOW! He is full of energy and has a very positive and fun teaching style. The location is nice, clean and very well done. Great place for music lessons at any age! 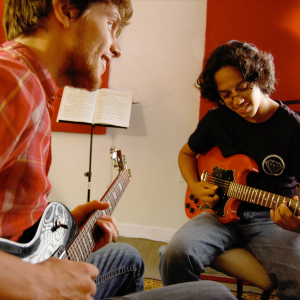 $25 off your first month of music lessons!